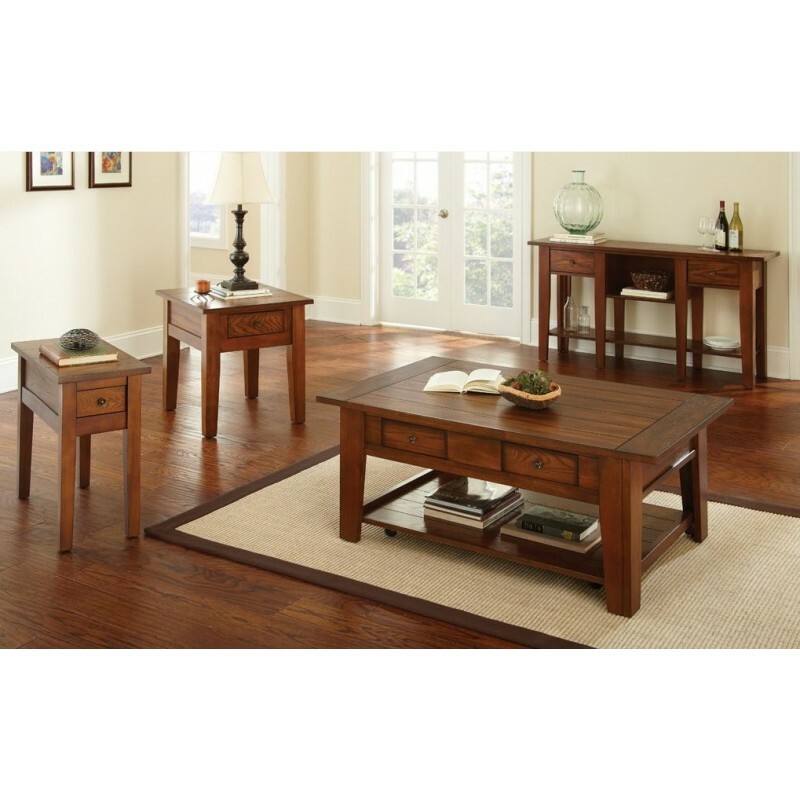 The Desoto occasional table collection features classic mission styling with plank tops. The tables are finished in a rich medium oak. Collection pieces include a rectangular cocktail table, end table, chair side table, and sofa table. All tables have a drawer for storage. DE200CAS Desoto Cocktail Table w/ Caster Oak, 50"x32"x20"
DE200E Desoto End Table, Oak 23"x27"x24"
DE250EC Desoto Chairside End Table, Oak 13"x28"x24"
DE200S Desoto Sofa Table, Oak 58"x16"x30"